Home to over 200 museums, Israel has the highest number of museums per capita in the whole world - further underlining its status as one of the most culturally-rich tourist destinations on the planet - while its national parks are roundly celebrated for their accessibility and beauty, as well. The country of Israel has a fascinating history and is the spiritual home to Jews, Muslims and Christians alike. Whether you are after some culture, a spiritual journey or a beautiful beach holiday this incredible country is sure to be an interesting place to visit. If you’re looking for direct flights to Israel, try the national carrier EL AL Israel Airlines or BA. For low cost flights to Israel, try easyJet or Jet2. There are many other airlines which fly to Israel from the UK including, Lufthansa, KLM and Turkish Airlines. 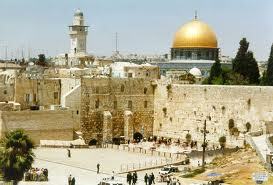 Israel’s capital city, Jerusalem is a spiritual city full of history, excellent museums and important religious sights. If you want to delve into the cultural past of the city then why not start with a visit to the Israel Museum, housing the country’s most important archaeological discoveries including the Dead Sea Scrolls. The Tower of David is a must too. From its rooftop you will have magnificent views of the city and Temple Mount. For those travelling with families, you may want to take a ride on the Time Elevator, a fun simulated journey through the holy city’s fascinating past. The Jerusalem Biblical Zoo is also a fun day out for all the family. As well as Israel’s many historical sights make the most of the plentiful attractions in the vivacious city of Tel Aviv with its superb shopping, fantastic cuisine and lively nightlife. For some relaxing beach time head to the coast and the beaches of Eilat on the Red Sea where you can sail, surf, swim or simply enjoy a spot of sunbathing. 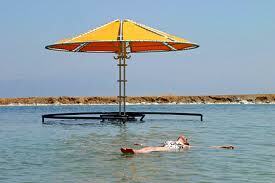 Don’t miss the natural wonder of the Dead Sea where you can truly float on the mineral filled waters, reputed to have special healing powers and very relaxing. Not far from the Dead Sea, a visit to the ruins of Masada is a must and one of Israel’s most enigmatic sights. For the most competitive cheap flights to Israel we advise you to book in advance and try to avoid travelling during busy times of the year if you’re looking for the cheapest flights to Israel. As well as finding you the best fares Directflights.com can also help you some superb offers on lastminute flights to Israel. The climate of Israel is typically Mediterranean, with long, hot and dry summers followed by short, cool to warm, wet winters. Heavy rainstorms are usual between November and February. Snow is possible during the height of winter, in inland, high-ground areas.